A big thank you to JRGordon for dishing the dirt in a news roundup almost every week through rain, snow, sleet and dead of night since November 1, 2010. JR has recently returned to hometown Texas , and I’ll be brushing off my news roundup skills after a long hiatus until I can hand it off to a willing “volunteer.” If you have a burning desire to become the next JR Gordon, filling in the MissPres universe on all the latest happenings in Mississippi’s preservation world, let me know. Auburn Home President Clark Feiser said Auburn’s nonprofit management group and the city are joining forces to apply for a $351,000 grant from the Mississippi Department of Archives and History to completely restore the kitchen at the city-owned Auburn house. The detached kitchen, built in 1830, had an upstairs that served as slave quarters, Feiser said. Presumably this grant is the Community Heritage Preservation Grant for which MDAH announced another round in July. Applications are due later this month. Members of the Tupelo Historic Preservation Society will host a fundraiser to raise money to apply for a grant that will pay for a new roof and a wraparound porch on the house, which now sits on Church Street and dates back to the early 1900s. The fundraiser is 4-6 p.m. Sept. 14 on the house’s grounds, and the house will be open for folks to see it as it is now. The society needs to raise $40,000 to apply for the grant, and only about $5,000 has been committed. Also from the Daily Journal, a less complimentary headline, “Lee County bridge history will mean costly delay.” It seems a bridge replacement project on County Road 878 has been stalled because MDAH has declared it eligible for the National Register and is requiring that the bridge be documented before it is demolished or abandoned. My favorite quote for the week comes from Supervisor Darrell Rankin: “I classify this as bureaucratic organic fertilizer.” Now, “organic” is a good thing nowadays, right? Down in Hattiesburg, repairs at the Ogletree Alumni House at Southern Miss, which as you recall was badly damaged in Feburary’s tornado, is finally getting underway. The house began as the president’s house and had just finished a major renovation and addition not too long before the tornado hit. Secretary of State Delbert Hosemann has been named the Honorary Chair of the Mississippi Heritage Trust, 10 Most Endangered Historic Places in Mississippi program for 2013-2014. 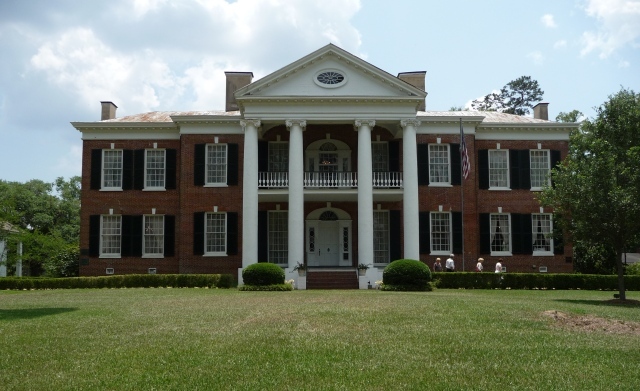 The list of the 10 Most Endangered Historic Places in Mississippi for 2013-2014 will be unveiled at an event on Thursday, November 14th at Cedars in Jackson, Miss. “The Mississippi Heritage Trust is so pleased Secretary of State Hosemann has agreed to serve as honorary chair for the 10 Most Endangered Historic Places in Mississippi program. Secretary Hosemann’s demonstrated commitment to historic preservation is an inspiration to people and communities around the state that are working so hard to save the places that matter,” adds Lolly Barnes, Executive Director of the Mississippi Heritage Trust. This award also includes a partnership with first-time 2013-15 NDNP awardee, the Mississippi Department of Archives and History, or MDAH, in Jackson, Miss. LSU Libraries’ project staff will provide technical expertise and project management for the digitization of 100,000 pages of Mississippi newspapers over the next two years. “The Mississippi Department of Archives and History is thrilled with this partnership that will facilitate digital access to Mississippi’s historical newspapers,” said Julia Marks Young, MDAH archives and record services division director. MDAH also received a grant for $274,390 from NEH for the Mississippi Digital Newspaper Project. 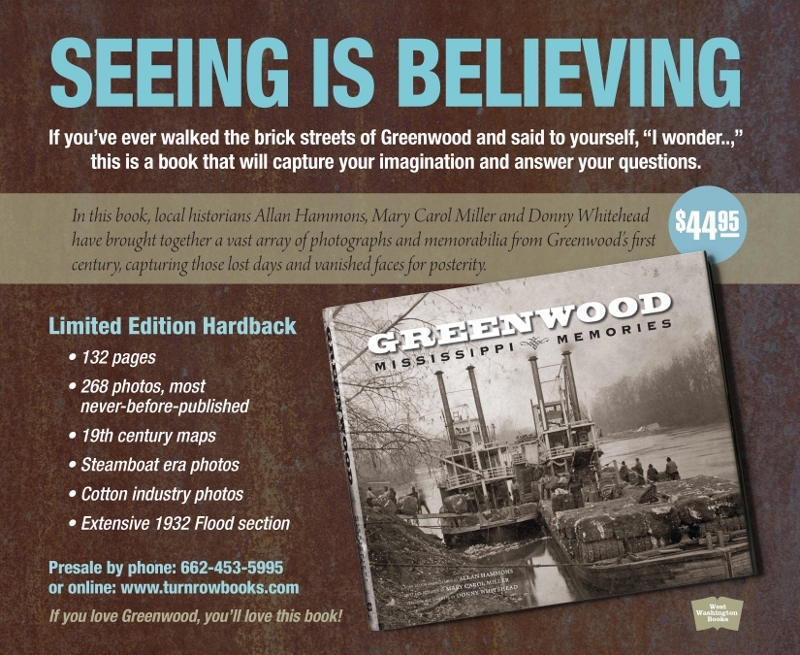 Finally, our own Mary Carol Miller has recently published a new book about Greenwood and its architecture. Order yours today! The unspoken and essential partner in the story on Auburn is the nonprofit Historic Natchez Foundation – without which a small group of volunteers in a small town could not effectively function as stewards for this NHL.